Below are some of my favorite products to help fellow livestreamers connect with the tools they need to succeed. As you build your broadcast, you need products that will enable you to look and sound your best without breaking the bank. And you need an eco-system to support your broadcast made up of hardware, software, web services, backup and more. Here are my top recommendations! DISCLAIMER: This website contains affiliate links, which means that if you click on one of the product links, we may receive a small commission. This assures we can continue to promote talented broadcasters delivering high-quality content across livestream platforms. Thank you for the support! Four of the brands I’ve long recommended on this page have solutions for mobile/remote livestreaming to YouTube, as live video is no longer available from the YouTube mobile app for channels with less than 1,000 subscribers. There isn't a better decision I made for our livestreams than the purchase of Wirecast. If you want to improve the quality of your broadcasts, stand out from the crowd, brand your livestreams with your own colors and logos, and have total control of the content you are creating, this is the best option. I use it almost daily and not only for livestreaming. The exceptional scene/shot creation, switching and recording capabilities enable me to produce high-quality recorded videos and cut down on post-production time in the process. Do you want to move beyond iMovie, but aren't ready to spend for Adobe Premier or Final Cut Pro? ScreenFlow could be the answer for you. From Telestream, the makers of Wirecast, ScreenFlow is not only a great screencasting and screen recording solution, it is also a video editor that can more than handle everyday editing needs. I know a lot of people who use Adobe Premier and Final Cut Pro for professional-level productions who also use ScreenFlow to edit their YouTube videos, which look great. At only $129, this will take your editing to the next level without spending for more product than you need. Test out the free trial version. Switcher Studio is a leading choice for mobile live video production with Facebook Live and YouTube Live Integration as well as custom RTMP. Get more views, more engagement and more sales using Switcher Studio for iOS. Brand your videos, switch between mulitple cameras, see comments and more. Get out, go live, be awesome! Switcher Studio helps you create the live videos you envision — with devices you already own. Sync up to 9 iPhones and iPads for multicam video, insert titles and graphics, edit live, and stream anywhere. Sign-up for their free 14-day trial and save 10 percent by clicking here. Need B-roll and graphics for your video productions? VideoHive offers royalty free video files to help you produce slick videos & motion graphics. Starting as inexpensively as $2 and with some freebies each month for members. VideoHive has a library of 443,111 video effects, templates and stock footage created by video professionals from all over the world. Their website also offers free video editing and shooting tutorials covering subjects such as customizing an After Effects template, using Apple Motion like a pro and adding audio to your video stock footage. Part of the Envato Market that includes ThemeForest and CodeCanyon. Gone are the days of one input for one output. Switchboard Cloud destroyed them. The all-in-one live streaming platform enables brands and content creators to broadcast across multiple channels with a single input, eliminating the strain simultaneous streaming used to put on bandwidth. Select from among the most popular social media platforms such as Facebook Live, YouTube Live, Periscope Producer, Twitch and more to distribute your livestreams. Regardless of whether you’re streaming church services, a professional gaming tournament, a once-in-a-lifetime Q & A session, a bizarre combination of all three, or anything in between, Switchboard Cloud lets you do it live. Everywhere. I can't put into words how much I love this dynamic microphone. I haven't seen a better piece of livestreaming or podcasting gear at such a low price point. While working in radio, I used the Shure SM7B and the Electro Voice RE-20 and I'm not saying this is a better mic than those powerhouses, nor is it as good as the Heil PR 40. But for my voice, this is close enough that I held off upgrading for more than two years. The Samson Q2u is very similar to the ATR2100, but I find its sound is both warmer and more powerful. Get an inexpensive boom arm to hold it and get ready to sound like a pro. When it was finally time to upgrade my audio gear, I tested four of the best dynamic broadcast mics, The Shure SM7B was one that worked best for my voice. This dynamic microphone has a smooth, flat, wide-range frequency response appropriate for music and speech in all professional audio applications. It features excellent shielding against electromagnetic hum generated by computer monitors, neon lights, and other electrical devices.The SM7B has been updated from earlier models with an improved bracket design that offers greater stability. In addition to its standard windscreen, it also includes the A7WS windscreen for close-talk applications. Looking for a good all-purpose microphone that won't break the bank, the Sennheiser e835 dynamic microphone fits the bill. At $99 with a cardioid pattern and durable construction, the e835 can serve as a capable host mic for podcasts and livestreams, a handheld interview mic (thanks to low handling noise) and a terrific on-stage (for speakers and singers) and remote broadcast mic due to its ability to enable the speaker to cut through background noise and be heard clearly. A good-sounding mic on many different types of voices right out of the box, the e835 is a strong alternative to the comparably versatile Shure SM58, with both mics having legions of fans and plenty of audio enthusiasts believing you can't go wrong with either option. The MixPre-3 from Sound Devices is one piece of gear that solves three needs: it serves as an audio interface, mixer and recorder. A few of the many ways it stands out from other gear in the sub $700 range is that it can function as both a USB audio interface and recorder at the same time, it's sound quality and super quiet Kashmir preamps are unmatched and the headphone amp is amazing. Even when using gain-hungry mics like the RE50 or SM7B, the preamps have more than enough gain without adding a mic activator such as the CloudLifter. It's also portable, has multiple power options and works great for capturing audio for video combined with a DSLR or Camcorder. The MixPre-3 is a professional quality device at a prosumer price. Two of the biggest factors impacting your audio quality are your microphone pre-amps and analog-digital (A-D) converters. Why purchase professional broadcast microphones only to plug them into budget mixers? At the sub-$500 level, audio interfaces generally have better pre-amps and A-D/D-A conversion than USB mixers. Audient's two mic pre-amps and A-D/D-A converters on the iD14 have a reputation of providing audio quality typically associated with large-format consoles. Along with a CloudLifter, I get great sound pairing the iD14 with my Shure SM7B microphone. If you only need to plug in one mic, the Audient iD4 cuts the cost by $100. It's hard to believe the quality of this all-metal, audio interface that serves both as capable back-up to my Audient iD14 and portable mic preamp and A-D converter for livestreaming or podcasting from my phone or computer. I've also tried it in my home studio with the Shure SM7B and it actually provided more than enough gain without need to use the CloudLifter. Where the MVi really shines in my workflow is as a second interface enabling me to go live on Facebook from my computer and Instagram from my phone both with high-quality audio from the same mic. Another winning product from Shure! This is the device I use to connect an XLR mic into my iPhone when conducting Red Carpet interviews while holding a tripod/monopod with the iRig Pre attached to it. When I need to be mobile -- as in moving physically while livestreaming in addition to using a mobile iOS device -- this is the only one of my three interfaces that works with this one-man band setup. Be aware that you need a 3.5mm to lightning cable adapter to use with an iPhone 7 or later model. Livestreaming from remote locations, events, hotels, conference rooms and places with weak cellular or internet connections all pose challenges for content creators, show hosts and journalists who want to go live on social media platforms and maintain a high-quality, professional presentation. LiveU uses cellular bonding technology to bond multiple wireless network connections plus wifi or ethernet to ensure you stay on the air. I used the LiveU Solo to conduct interviews for more than an hour at VidSummit, where the hotel/conference wifi signal was weak and cellular reception spotty. Without the Solo, it's likely my stream would have broken up, buffered or otherwise transmitted in low quality. The Solo is easy to use: just hook up a Camcorder, DSLR or mobile device to the Solo via HDMI and you are ready to go live. BoxCast makes it easy to livestream in high-quality with just power, an internet connection and a camera. Using a hardware encoder such as the BoxCaster means you no longer are taxing your computer CPU power to livestream and record. The Boxcaster streams professional quality video free of buffering while the BoxCast platform records your broadcasts before they reach Facebook Live or YouTube Live, so you have a high-quality version of your content for repurposing. For those wanting to use their computer to produce live video with OBS or Wirecast, set the BoxCaster as an external monitor that will take care the encoding and streaming while your computer and software handle the switching and production. There is a striking difference in video quality between using a built-in laptop webcam and one of Logitech's outstanding external webcams. Not only is the video clarity and picture so much sharper, the camera performs well in different lighting situations including in low light. Rather than sitting the c922 on my laptop (which I do from time to time), I prefer to secure it on a tripod. This gives me the freedom to move my computer around without changing the camera location and bring the computer closer to me when needed without the camera getting too close to my face. The camera also has a much wider field of view than a built-in webcam, so you see more of the person and the background. If you want a more inexpensive alternative, there are some good deals to be had on the Logitech c920, which will give you many of the same advantages as the c922x. I use Arkon Mounts tripods to hold my cameras, including my external webcam as it gives me the freedom to move my laptop around while the video remains stable. I also use Arkon Mounts tripods for mobile livestreams. Arkon sells the outstanding LED Ring Light, which is great for both selfies and mobile livestreaming. With 3 settings, you can also use it to get better lighting when livestreaming from your laptop. The LED Ring Light was the hit of Summit.Live and sold out quickly before I could grab one at the event, but I'm excited to have received my order shortly thereafter. In addition to making great products at affordable prices, Arkon VP Aaron Roth, a recent #LivestreamStars guest, broadcasts daily on Periscope and Busker. Get 20% off Slam Dunk Studio courses using discount code ROSSBRAND as Todd.Live shows you how to assemble a professional-style live video studio. Learn about the best live video and podcast equipment for your needs, why you would want it, and where to get it! Then Todd teaches you how to hook up all of the equipment he's got in his studio with nearly 150 slides designed to walk you through the setup with ease and comfort. At the end of this course, you'll have both the gear you need to look and sound your best and you'll have hooked it up so you can get started creating great live videos and podcasts! Stephanie Liu is a social media strategist with agency experience who takes a highly professional approach to livestreaming. Her "Lights, Camera, Live" shows are expertly branded with graphics and backgrounds while she employs shot changes, high-quality audio and music beds to deliver a livestream viewing experience that is truly unique. How does she make this magic happen? Stephanie uses a free, open-source live video production software called OBS. Check out her course to learn how you ​can make your live videos more professional. For those who completed Stephanie Liu's 101 course on OBS, or already have a basic understanding of how OBS works, here is where live video creation gets really fun. In this advanced OBS course, Stephanie teaches you how to use a green screen, create intro & outro scenes, screencast your browser or mobile device, share a Keynote presentation, use Skype for interviews and even feature fan videos on your shows. Need help getting starting or growing you podcast? I can't think of a better person to learn from than legendary podcaster Dave Jackson. A 2018 Academy of Podcasters Hall of Fame inductee, Dave has helped hundreds of people launch their podcasts since he started podcasting in 2005. 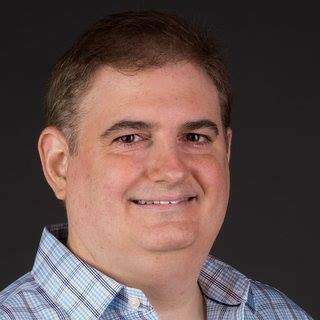 His broadcasting talent and industry knowledge are on display every Saturday morning as Dave takes live questions about all aspects of podcasting as host of "Ask The Podcast Coach." Dave excels at explaining complicated technical issues in everyday language for non-techie listeners and students. His $49 monthly membership program provides insider access to one of the leading educators and practitioners in the field of podcasting. Learn to engineer and produce podcasts at the highest professional level at The Podcast Engineering School, the only school in existence that teaches the professional audio engineering aspects of podcast production, and more. Graduates will be well equipped to start their own podcast production company or be hired as an employee. They will be able to produce podcasts at the best possible sound quality and produce episodes in less time! Graduates will have expert audio skills, knowledge and techniques that are FAR BEYOND almost everyone else’s in the industry. Podcast production is a booming field now! The next program will start September 18, 2018! Click here for details. Thinkific is the top platform to create, market and sell your own online courses. It's a powerful, all-in-one platform makes it easy to share your knowledge, grow your audience, and scale the business you already love. Whether you’re educating 10 students or 10 million, feel confident that you’ve got the easiest technology and best support in the business Get started creating your online course with Thinkific today and turn your expertise into a thriving business. RelayThat has been my go-to graphic design tool for show cards, promo images, thumbnail covers and image quotes from show guests since I started Livestream Universe. I love the ability to take a previously-used design and brand colors and quickly swap in a new episode name and guest image in a matter of seconds. It's been a huge savings in time in doing nearly a hundred image quote graphics for the annual predictions blog posts. There's also a cool remix feature which takes your assets and shows you new design possibilities and you can resize your images for different platforms with the click of your mouse. I LOVE my .LIVE domains and have used RossBrand.LIVE to brand (no pun intended) my livestream interviews and shows. It's also easier and more memorable than giving out a Facebook page web address. Whether you use your .LIVE domain as the home for your website or as a redirect to your favorite livestreaming platform, people will know instantly that you are someone into live video and to expect live content from you. In addition, .LIVE supports many events in the livestreaming community, including Summit.Live. You can register .LIVE domains at GoDaddy, BlueHost, NameCheap and 1&1. Thanks to fellow livestreamer Nazim Beltran's recommendation, I made the move to inMotion for the hosting of this website and couldn't be happier. inMotion provided a free site transfer so I could easily make the move from my former host. In addition, customer service is outstanding and the website's performance is much improved. BlueHost is highly-recommended for hosting WordPress blogs and websites. At $5.95/Month for unlimited hosting, I have several websites hosted on my BlueHost account and all of them run smoothly without any troubles. And you can purchase up to 60 months (which I did) to lock in the pricing for 5 years. Not only do they offer 24/7 phone support, they have WordPress specialists who are happy to answer your questions about setting up and hosting a WordPress website. When I first joined BlueHost, they walked me through the process of pointing my domains to BlueHost and adding WordPress. All done in 5 to 10 minutes. NameCheap has become a new favorite of mine for registering domains. The pricing is straight-forward and tends to be less than competitors when you factor in the cost of owning the domain for multiple years. Even better, WhoIsGuard is included with your domain for free for the first year, meaning your personal information is masked in the Whois directory from spammers and scammers. Most registrars charge for this service. At $2.98 per year after the first year, the cost of confidentiality remains inexpensive with NameCheap. Also, the NameCheap website is beautifully designed and user-friendly as is the mobile app. 1&1 has a reputation as a web host for reliability and security at an affordable price. They get high marks for their 24/7 customer service via phone and also provide extensive FAQs and user forums for those serious about going deeper into the process of website building and design. All 1&1 hosting plans include SSL certificates indicating information exchanged is encrypted to prevent intercept by third parties, helping users, especially customers, feel secure when entering personal data at your website. 1&1 also provides daily backups and has a variety of products for those in need of business, ecommerce and marketing solutions. ThemeForest is one of the premier sellers of premium WordPress themes and templates as well as high-quality Joomla and e-commerce templates for WooCommerce, Shopify and more. They also provide free web design and WordPress tutorials and videos to help you select the right theme and set it up. Part of the Envato Market, ThemeForest has some of the best and most popular WordPress themes. Not sure where to start? Check out Impreza, X Theme, Salient, Avada, Enfold, Bridge, Uncode, The7, Total, Stockholm, Infinite, Podcaster and many more beautiful, multipurpose and modern themes to give your website a great look. Elegant Themes is a great option when you are building your first website, need to get one done in a hurry or hate the idea of ever touching a line of code. Their annual membership includes Divi, their flagship product and the world's most popular WordPress theme. It comes with the Divi Builder enabling you to build pages and posts in drag-and-drop fashion. Divi also contains page templates that you can quickly import, change some text and images and within no time you have a website ready to go live. Even if you don't use their themes, the Elegant Themes package is worth it for the excellent social sharing and email opt-in plugins.